I am going to disappoint all the Mad Men fans out there. I don’t really like vintage stuff. I’m not really into vintage cars and I was never really into vintage watches, with just a few exceptions. However, over the past few years, I have purchased a number of retro-style timepieces. I didn’t even understand this myself, so I had to think about it for a while. First of all, why would I not like vintage watches? Well, it’s like my pal says, “I like my watches to be new and shiny.” Now, I have purchased pre-owned watches several times, but they were always in mint condition with new straps. So there’s the short explanation. 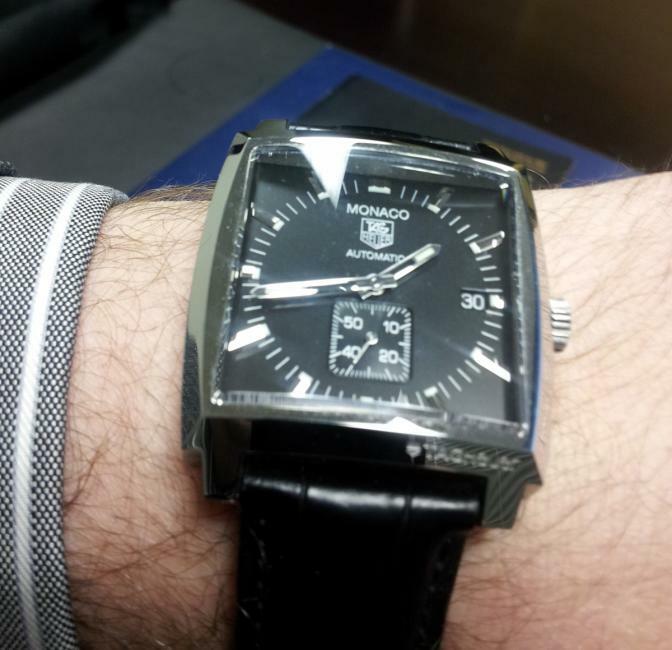 The first proper watch that I purchased for myself was a TAG Heuer Monaco automatic (non-chronograph). I stared at this watch online for weeks and weeks. This piece is a modern version of a classic 1960’s piece. I was just… infatuated. When I had a nice bonus, I hit the store the very next day and ordered one. The best way to explain that Monaco would be this – it would look perfectly at home in the film Gattaca. It looks both retro and modern at the same time. The case and the sapphire crystal were heavily redesigned for the new piece and all the curves and brushed metal look very modern. But the square shape and dial are very retro and quite dressy. Something about retro designs, even “sporty” ones, looks dressy somehow. Well, that was the first one. The 42mm stainless steel Longines Legend Diver, with its beautiful black lacquered polished dial and Super-LumiNova numbers. Then came the Longines Legend Diver. I stumbled onto this piece one day while reading a blog. Hell-o! Oh man. I stared at this watch on websites for over 6 months. No joke. And then I found one at the top authorized dealer in my town and tried it on a few times. It was just… cool. Before even reading about it, I could tell it was a 1960’s-style diving watch – it just had THAT look. Cool. Cool. Cool. It’s actually a re-edition of a famous Longines diver from the 1960’s and looks just like the original. I eventually caved in and bought it. Like I said before, something about the retro style makes even this diver look dressier – I typically wear it with a suit and tie. But I also wore it on the beach. So I like the 1960’s style, but I don’t really like vintage watches. Solution – buy modern retro-style watches. Another cool watch is the Hamilton Pan Europa chronograph, which looks like 1970’s racing pieces. I just like the sporty styles of the 1960’s-1970’s and maybe this is because, as I have blogged before, mechanical watches were real necessities in those days. Wearing a retro piece is like saluting the good old days. And retro design seems to blend in very well with a suit or tuxedo, or also with a blazer. 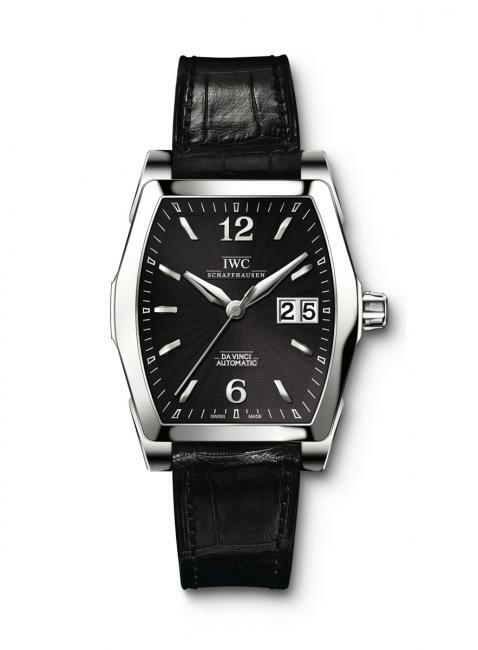 The stainless steel and black dial version of the IWC Da Vinci Automatic. Perhaps the ultimate retro piece, in my opinion, is the Jaeger-LeCoultre Deep Sea. This one is on my fantasy list. IWC have a retro vintage-styled Da Vinci model that is also super cool and let’s not forget TAG Heuer with their very cool 1960’s-inspired racing chronographs- some with the vintage Heuer logo. Oh, and I have blogged already about the Alpina Heritage Pilot, which is a superb beauty. So basically, you can find a brand new timepiece with a retro flare. The cool part of it is that, even if it’s a retro sports piece, the classic style will make it appear dressier and fairly unique. 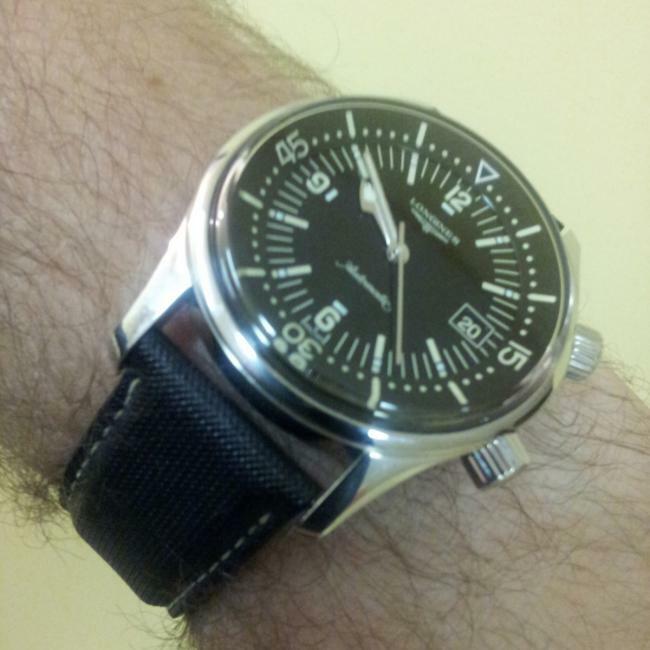 I get nice comments on my Longines – it doesn’t really POP and jump out at you, but it’s quite unusual and… stylish. As always, my friends, the fun is in the search. Happy shopping.